The best children’s electric toothbrush is dependent on the age of the kid. For children aged from 0-3 years old the best toothbrush to go for is the brush-baby baby sonic toothbrush. From age 3-6 years old go for the Oral-B stages electric toothbrush and for 6 years + use the Oral-B Junior Electric toothbrush. This is ridiculous especially for a disease that is largely reversible. Getting your child to use the best children’s electric toothbrush in the right way will help prevent tooth decay. Electric toothbrushes have been proven to reduce plaque by 21% so the earlier you start using them the better it will be for your teeth long term. How do you decide which is the best children’s electric toothbrush? To do this I have looked through and researched all the main electric toothbrushes for kids. I have used many of them when brushing my nieces and nephews teeth and know which ones are well accepted. Getting your kids to brush their teeth is a challenge so having a toothbrush that makes this process as easy as possible is a life saver. I also have taken into account the cost, the features and the mechanism of action, to make sure I give you the most accurate recommendation possible. Are children’s electric toothbrushes really worth it? To answer this question, we need to answer whether a children’s electric toothbrush cleans better than a normal manual toothbrush. Cochrane provides the most in-depth answer. They reviewed 56 studies in 2014 to find out if powered electric toothbrushes were better than manual toothbrushes. They concluded that electric toothbrushes reduce plaque by 21% and gingivitis by 11% after only three months of use. This provides strong evidence that electric toothbrushes are better. 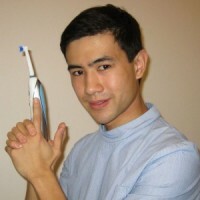 From a clinical standpoint, I believe that a manual toothbrush on a one-off basis can clean as well as an electric toothbrush if used perfectly and with the right technique. However, it is very difficult to brush consistently well with a manual toothbrush and this is why electric toothbrushes outperform them. Hence I use an electric toothbrush on a daily basis and advise for children to start using them as early as possible. What age should I start using a child electric toothbrush? As early as possible even on their first teeth, I find if you start using electric toothbrushes on children early they will become accustomed to using it when they start (attempting) to brush their teeth on their own. Children should be supervised brushing until they are at least seven years old. Are battery powered toothbrushes as good as electric toothbrushes? No battery powered toothbrushes are NOT as good as electric toothbrushes. Battery powered toothbrushes are toothbrushes that are powered by AA or AAA batteries and are not rechargeable. They often are cheaper than their rechargeable electric toothbrush counterparts. However, the amount of clinical research that has gone into battery powered toothbrushes are much less and they are in effect manual toothbrushes that make a buzzing noise. I would not recommend buying them. The most important feature for child electric toothbrushes is that it is fun to use and visually appealing. You want a toothbrush that is going to captivate your child for 2 minutes so they let you brush their teeth. Lights, bright colours, smartphone apps and music are all welcome, particularly in the 0-6 age range. More features for a lower price is what we are looking for. 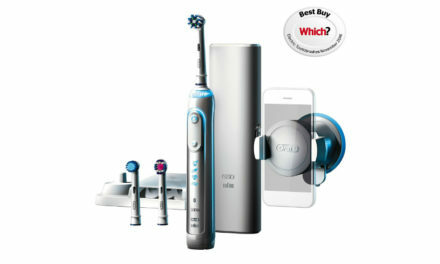 More expensive price does not always mean better electric toothbrush. Make sure to also take into account the cost of replacement brush heads. A timer to make sure that you are brushing your kids’ teeth for the correct amount of time. Dentists recommend cleaning your children’s teeth for 2 minutes (if they will let you). Regularly charging electric toothbrushes are a bore. The best electric toothbrush for kids would have at least a 5-day charge. The longer the battery life the better. A good manufacturer’s warranty of at least 1 year means you will guarantee a decent lifespan out of your child electric toothbrush. The Brush-Baby Baby Sonic Electric Toothbrush is a very well designed toddler’s electric toothbrush. I particularly like the tiny brush head size meaning that the brush is manoeuvrable and perfectly suited to a toddler’s mouth. As standard, the brush head comes with soft bristles. For adults I usually recommend medium bristles however for toddlers particularly when they are very young (0-2 years old), soft bristles are preferable. The reason for this is that toddlers move so much when you brush their teeth it is so easy to cause trauma to the gums. Soft bristles will minimise this. The on/off button on the handle is ergonomic and easy to press. The handle is also easy to grip and has a yellow rubberised surface. When you do turn the electric toothbrush on, the whole brush head lights up. This light allows you to see properly when brushing your toddler’s teeth. The Brush-Baby Baby Sonic Electric Toothbrush comes with a 2-minute timer (the light turns off after 2 minutes) as standard. It also pulses every 30 seconds letting you know when you need to change area of the mouth. Having a 2-minute timer is essential to clean your toddler’s teeth properly. The brush-baby sonic electric toothbrush uses a sonic mechanism of action. This means the bristles move backwards and forwards 16000 times per minute which cleans the plaque away from the tooth. Although I am not a big fan of sonic electric toothbrushes as studies show that oscillating-rotating electric toothbrushes clean better, for a toddler’s electric toothbrush this is less important. Really the Brush-Baby Baby Sonic Electric Toothbrush is going to be used to get the toddler used to the sound and feel of an electric toothbrush before moving onto a “proper” electric toothbrush when they are 3 years old. I would recommend using a manual brushing technique (Modified-bass) with this toothbrush. brush-baby Baby sonic Replacement Heads (18 to 36 Months) are larger and use bristles that are more firm than the 0-18 months brush heads however would still be considered soft. The brush baby electric toothbrush is small and lightweight. It can easily be transported in a backpack or any form of hand luggage. It does not come with a travel case however this is to be expected for a relatively cheap electric toothbrush. The brush baby electric toothbrush uses AAA Alkaline batteries and is not rechargeable. I am not usually keen on battery-powered electric toothbrushes however for the 0-36 month age range it is fine. Batteries will need changing every 3 months dependent on use. The Brush-baby baby sonic electric toothbrush is £8.99 on Amazon. This represents great value for money. It also comes with a 1-year manufacturer’s warranty which means it costs 2p per day to run. Bargain! A pack of 2 replacement brush heads for 0-18 months are £4.10 and a pack of 2 replacement brush heads for 18-36 months are £3.75. This is reasonable and cost effective. The Brush-baby baby sonic electric toothbrush is a great purchase for any baby from 0-36 months. Although not perfect because of it being battery powered and using a sonic mechanism of action, it is currently the best children’s electric toothbrush (0-3 years old). The small brush head with soft bristles that lights up and the ergonomic handle make it easy to brush your baby’s teeth. This means that your child will take a liking to at least one of the designs. The Oral-B Stages also comes with the Disney Magic Timer app which is exclusive to Oral-B Products. This is available on Apple iPhone and android apps on google play. When this app is connected to your electric toothbrush, the longer your child brushes their teeth, the more the image is revealed. All images are of Disney characters and are well designed. The app also tracks your child’s progress, earn badges and rewards them for brushing longer and twice a day. This is an excellent oral health promotion tool and 90% of children brush longer when using it. There has been a recent update to this app which means there are problems with scanning the product to activate the timer, leading to negative reviews on iTunes and google play. I am sure that a company as big as Oral-B will have this up and running again shortly. The Oral-B Stages Power Kids Electric toothbrush uses a 2D Oscillating-rotating mechanism of action similar to the Oral-B Vitality for adults. A 2D action is a rotary action which oscillates and rotates. This is inferior to the 3D mechanism of action featured on the Adult Oral-B Pro range. There are currently no children’s electric toothbrushes that feature 3D oscillating, rotating and pulsation. There is substantial evidence that the 2D oscillating rotating is better at cleaning plaque than sonic toothbrushes. 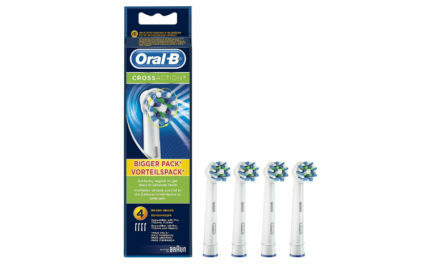 The Oral-B Stages power kids electric toothbrush comes as standard with 1 x Oral-B kids brush head. These brush heads are designed for children aged 3+ because they have very small head sizes and soft bristles. Between the 3-6 age range children are beginning to clean their own teeth so having soft bristles is great because kids frequently press way too hard. Four of these brush heads can be bought for £14.99 which is reasonable. The Oral-B Stages Power Kids Electric Toothbrush is lightweight and compact in design. It would be easy to put into a backpack or hand luggage when travelling. It does not come as standard with a travel case. The battery stores up to 20 minutes of charge. This is enough for 5 days of use twice a day for 2 minutes. This is a little on the low side for a rechargeable electric toothbrush, however, is acceptable. The Oral-B Stages Power Kids Electric Toothbrush does come with a charging station included in the box. With all Oral-B charging stations, the Oral-B Stages charger uses a 2 pin plug. To get this to fit into a normal 3 pin socket you will need a 2pin to 3 pin adapter (like the one below). This can be bought from any hardware store or Amazon. The Oral-B Stages Electric toothbrush currently costs £24.60. This represents great value for money as it comes with the functionality with the Oral-B Magic timer app and it is rechargeable. 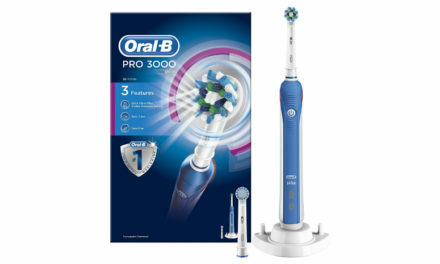 On top of this it also comes with a 2 year manufacturer’s warranty which can be extended to 3 years by registering at the electric toothbrush at the Oral-B website. The Oral-B Stages Power Kids Electric Toothbrush is a fantastic electric toothbrush for 3-6-years olds. It is fun and interactive and covers almost all of the points. I wish it used a 3D mechanism of action instead of a 2D however it is still the best children’s electric toothbrush for 3-6 year olds. 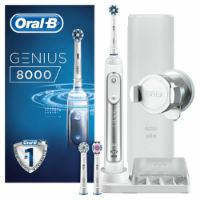 The Oral-B Junior Electric Rechargeable Toothbrush has been specially designed by Oral-B for the 6+ age range. It comes in a very trendy purple colour which is eye-catching and the hand size is small enough for a child size hand. The on and off button has been made to be simple for a child to press and control. This electric toothbrush also comes with a 2-minute quadpacer timer that “buzzes” every 30 seconds to let your child know when to change areas of their mouth. Also included in the pack is a helpful bathroom brushing guide educating your child how to brush their teeth effectively. It does not have a visible pressure sensor however it does lower the power of the oscillations and rotations when your child presses too firmly. The Oral-B Junior Electric toothbrush uses a 2D mechanism of action, like the Oral-B stages electric toothbrush. This means that it has a rotary movement and no pulsations. This is an inferior mechanism of cleaning compared to 3D oscillation, rotation and pulsation, however, is better than sonic electric toothbrushes. There are currently no electric toothbrushes in this age range that feature 3D oscillation, rotation and pulsation. The Oral-B Junior electric toothbrush comes with a sensitive brush head within the pack. This has been specially designed to be compact and has extra soft bristles. This is really useful as children frequently press too hard when brushing. The Oral-B junior is compatible with all Oral-B Brush heads, however, I would recommend sticking to sensitive brush heads. The Oral-B Junior electric toothbrush is lightweight and compact. It could easily fit into your bag whilst travelling and does not take up much room. Like the other children’s electric toothbrushes mentioned on this list, it does not come with a travel case. The battery life on this electric toothbrush is 28 minutes which is enough for one week of use twice a day. This is a respectable battery life. It also comes with a charging stand which holds the electric toothbrush handle upright and stops it from getting grubby. As with all Oral-B chargers it uses a 2 pin plug so unless you have a shaving socket in your bathroom you will need a 2 pin to 3 pin adapter. One of these adapters can be easily picked up from Amazon or another hardware store. The current cost for the Oral-B Junior is £24.80 on Amazon. This is very reasonable for what you are getting. As with all Oral-B electric toothbrushes there is a 2 year warranty which can be extended to 3 years by registering on their website. The Oral-B Junior electric toothbrush is an excellent toothbrush for children over the age of 6 years old. If you are going to use this then I would recommend supervising your children brushing until they are at least 7 years old. This toothbrush will help your kids develop a good brushing regime and teach them to brush their teeth properly. It has a wide age range of 4-10 years old which I do not think is specific enough, as there is a huge variation in mouth sizes and shapes from 4 to 10. Still despite these downsides it is definitely worth a look at however I cannot recommend it above the others on the list. 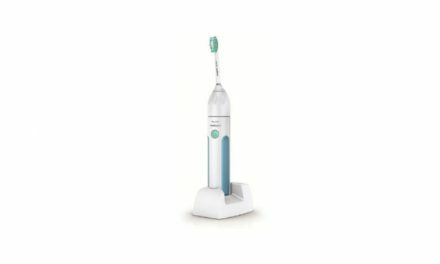 I have an 8 yr old and a 6 yr old and am debating between the Oral B Junior and Pro 2 2500 electric toothbrushes.. While the latter is not designed for children, in view of the better features it has, and not much price difference, I’m thinking I should buy the Pro 2 2500. Please can you advise. The Oral-B Junior has been specially designed for the 6+ range and I think is more child-friendly than the Oral-B Pro 2 2500.